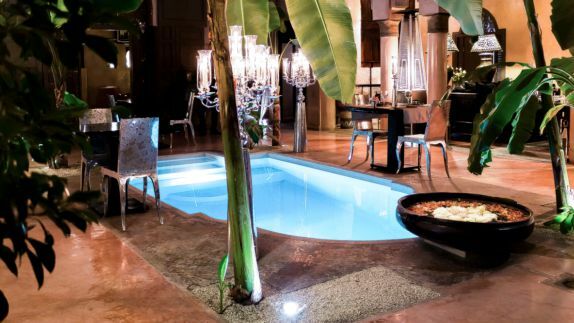 Pristine pools encompassed by lush banana trees, a traditional Moroccan courtyard and rooms named after African wildlife make this elegantly restored Riad feel like a lavish secret escape. 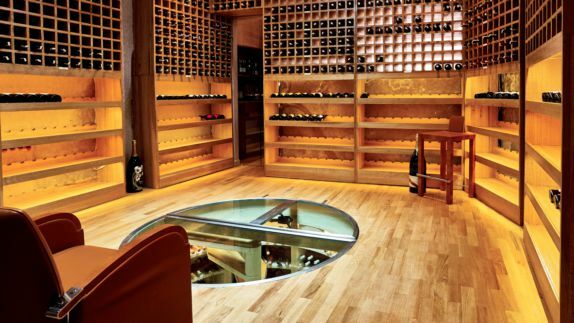 Intimate hangout spots including the finest cocktail blends as well as impressive wine lists come together to create a hide of singular elegance and luxury. Where is the hotel located? Will I be close to Marrakech’s attractions? 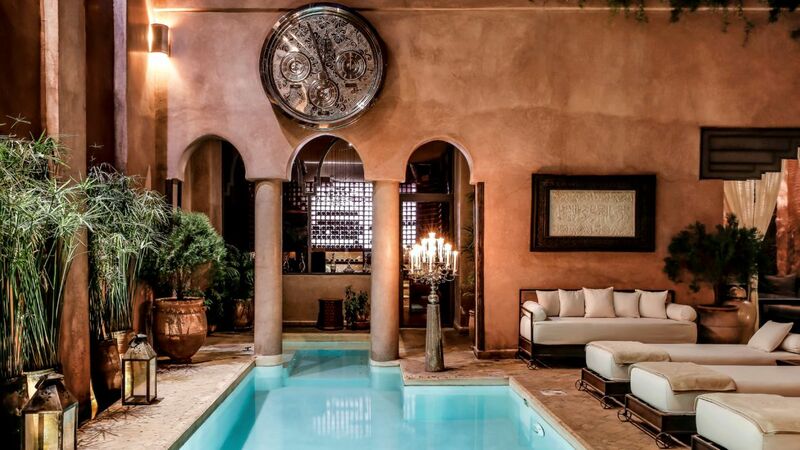 Stunning architecture, expressive décor and the ancient Medina steeped in history creates a unique oasis that excites and inspires guests at once. 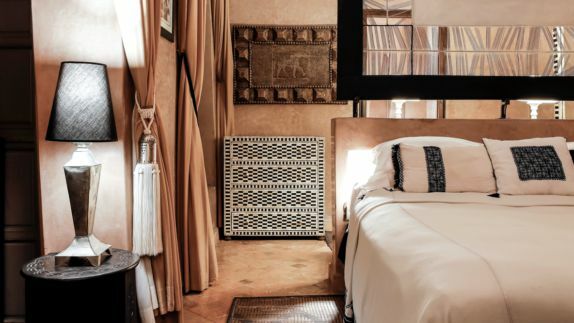 Beyond the walls of this well kept secret of Marrakech, the city clatters and hums as rich aromas of local spices and the smell of ancient foods dance through the air. What is the bedding made of? What kind of Moroccan interior awaits me? 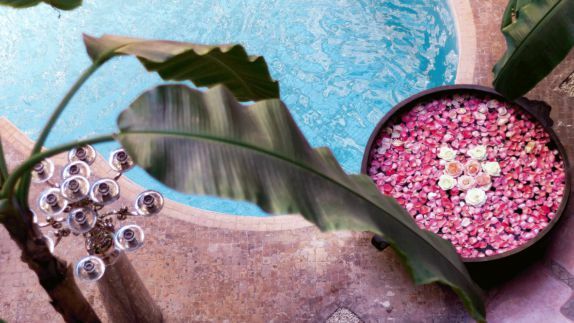 Carefully detailed rooms centered around opulent courtyards, bottles of champagne, exotic Moroccan oils and vibrant rose petals decorate your private abode and leave you feeling nothing short of royalty. As the days of exploring the city – brimming with rich, vibrant culture and its hidden treasures – come to an end, your room invites you back into a world of harmony and balance of the senses. 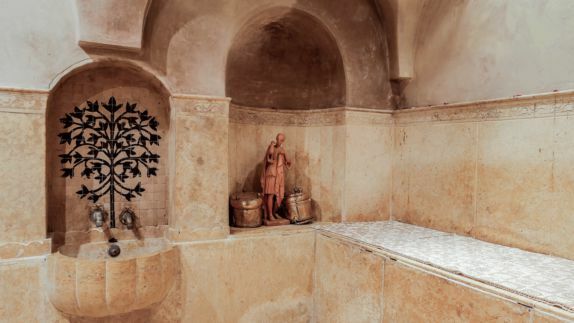 Will there be traditional Moroccan steam rooms? What kind or treatments await me? 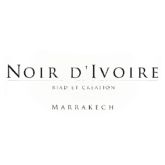 An alluring scent of traditional Moroccan fragrances of Argan oil, rose flower water and orange blossoms will draw you into the spa of the Noir d’Ivoire. Unwind after a long day in the busy streets of Marrakech on sun loungers by the edge of the hotel’s heated courtyard pool or rise above it all with singular views from the hotel’s roof terrace. What kind of cuisine awaits me? Will I be able to dine with a view of the city? Sip on an original cocktail or two as the evening and soothing sounds of jazz on the baby grand piano beckon you toward the exclusive lounge bar that leads onto the open courtyard. Head up to the roof terrace to savor an innovative, creative and freshly prepared dinner with local ingredients, lit up by candlelight and the dancing Moroccan city lights. What kind of adventures can I go on? Where can I have an authentic Moroccan experience? Whether you are a book lover, food enthusiast or simply looking for an unforgettable romantic stay, the Noir D’Ivoire caters to every need. 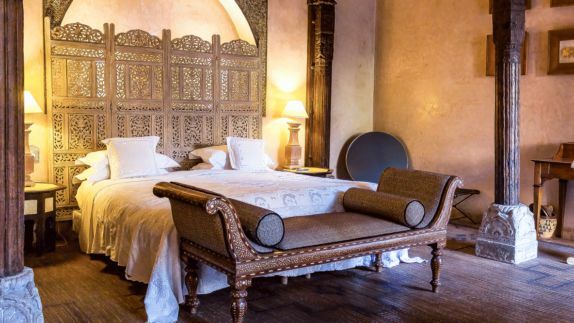 Discover bookcases filled with a broad selection of rare limited edition books, get a first-hand experience of the rich Moroccan gastronomical culture or spend serene days filled with unforgettable and intimate memories on special excursions.